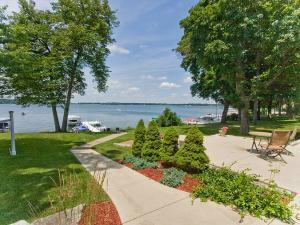 The cost of ownership for a luxury Delavan Lake property has been reduced once again. This time, the property is located on the South Shore along a stretch of homes often called "Millionaire Row". Initially placed on the market at $1,999,000 this completely rebuilt lakefront has been reduced drastically to $1,599,000 offering a quick sale and the opportunity for a new owner to enjoy the romantic summer sunsets. 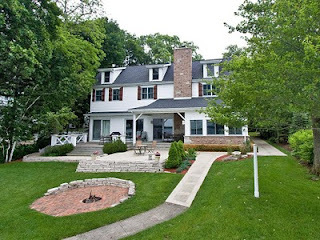 The home features five spacious bedrooms including a suite on the first floor attached to a lakefront deck, and an enormous master suite on the second floor with breathtaking lake views, spa-style bath, and a walk-in closet large enough to accommodate a small dinner party. 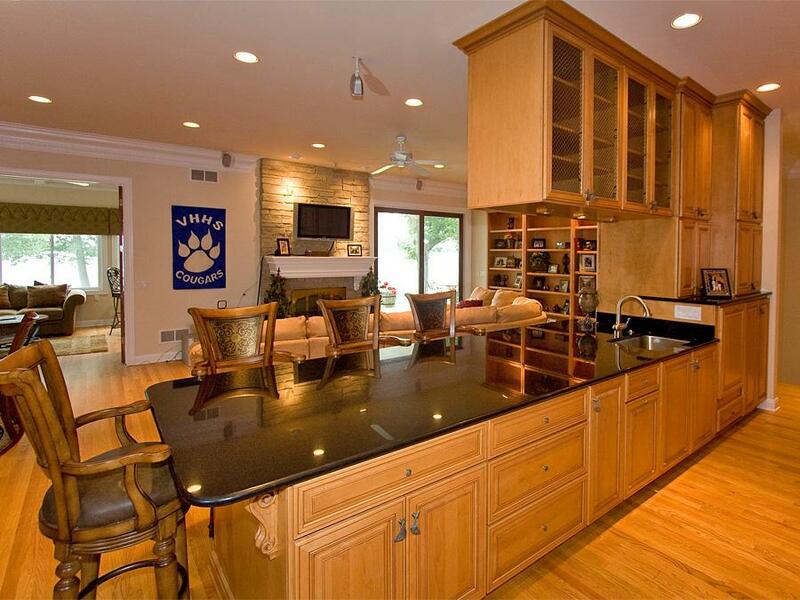 The property rests on 80' of South Shore frontage, has a private dock and well-manicured lawns. There is a lakeside deck and also a patio for outdoor entertaining. Inside, the owner spared no expense with ten foot ceilings, crown molding, granite counters and top-of-the-line appliances, fixtures, and floor coverings. Wood floors are used throughout the first level with an open concept kitchen area that looks out to the lake and great room fireplace. Truly, this is one of the best buys on Delavan Lake and offers all of the amenities a lakefront home requires for the sophisticated buyer. The town of Delavan has approved the long delayed project to dredge the Inlet on Delavan Lake. The first two projects were Browns Channel and the Mound Roads Complex. The dredging of the inlet is necessary because it serves as a filter for Delavan Lake. 61% of all the phosphorus entering the lake comes in through the inlet and the inlet has lost its storage and filtering capacity. As a result, phosphorus and sediment enters directly into the lake reducing water quality. The Town of Delavan Lake Committee, in conjunction with HDR Engineering, pursued and received the necessary DNR permits to complete this project and has submitted the project out for bids four times. In addition, the Committee held two listening sessions for citizens and taxpayers and the project has been presented at two annual meetings. The most recent bid process produced the lowest cost solution. Financing for this project is coming from a variety of sources. The Lake Committee met and reviewed the bids and voted to recommend that the board approve the Bid of JND Thomas in the amount of $1,456,822.70 subject to three conditions. First, the committee wanted their Engineering firm, HDR, to verify that the bidder was capable and had the financial wherewithal to complete the project. Second, the committee wanted their engineering firm to verify that the bid met the DNR permit requirements. Third, the committee wanted to have the engineering firm provide a plan for on-sight management. HDR has completed each of these items confirming the bidder, the bid and supplying an on-sight management plan. As a result, the town board voted to proceed with the project which should begin in June of this year and be completed in September.